OxyGeneo + VoluDerm featured in Spa Inc Magazine - DermaSpark Products Inc. The décolleté is often neglected by women, as most women concentrate their efforts on maintaining the skin on their face. Now, the décolleté is showing more age and sun damage. 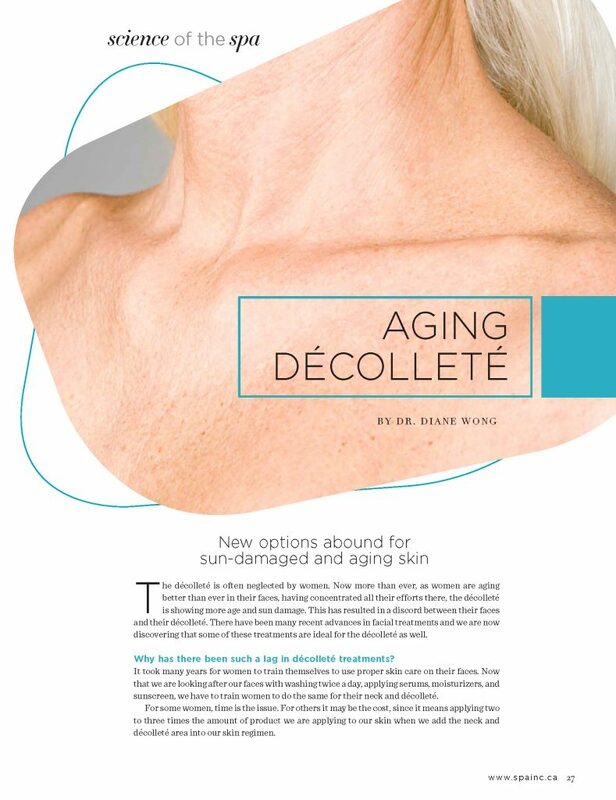 Spa Inc Magazine wrote an insightful article about what anti-aging treatments work well for preserving our décolleté. OxyGeneo and VoluDerm are featured as beneficial treatments! To access the full article, click the link below.